Kean's PRSSA chapter recently visited a public relations firm and the Museum of Public Relations in New York City. The PRSSA is an offshoot of the larger Public Relations Society of America (PRSA). In contrast to the PRSA, which represents over 30,000 communications professionals in their mission to elevate people in the industry to their greatest potential, the PRSSA aims to give public relations students the resources to obtain the best education and experiences possible before entering the field. Kean recognized its own chapter of the PRSSA in Fall 2014. While membership in the PRSSA does charge yearly dues, Jeremiah Sullivan, the group’s adviser and director of the undergraduate public relations option, stressed that these dues are what makes it possible for the organization to provide certain opportunities for its student members. “A lot of the money that you’re spending really is to commit to the local chapter of the national organization, and that unlocks all of the resources that students can utilize. PRSSA has their own internship portal; they have mentorship opportunities. They have quite a few scholarship opportunities, a majority of which are only eligible for PRSSA students,” Sullivan said. The dues necessary for official PRSSA membership for this semester needed to be paid by March 1. The dues process will begin again with the onset of the next semester, in which payment will be due from new members by Nov. 1. Until then, students are still welcome to become unofficial members and attend meetings, albeit without some of the benefits afforded to official members. “We do have students who are part of our club informally. They come to meetings. They participate as best they can, but the benefits of that only really exist for them on campus and that really is one of the differences between committing to the club nationally and not,” Sullivan said. The group, which accepts any undergraduate or graduate student regardless of major, typically meets every Tuesday during college hour. While Cougar Link lists the Center for Academic Success (CAS), Room 412 as their meeting spot, they now usually meet in a classroom on the 4th floor of CAS due to the group’s substantial growth. Sullivan noted that those who are unable to attend meetings should not automatically discount themselves from the possibility of membership. “A misconception that students have is that, if they don’t make a meeting on Tuesday, they can’t be part of the chapter. That can’t be further from the truth, one of the reasons being that we all come together on Tuesdays just to kind of update each other, but all the work happens on every day except for Tuesday,” Sullivan said. Those involved with the PRSSA can explore the various facets of the field by joining one of the group’s three specialized teams. These teams cover the areas of social media, events and fundraising and campaigning, which allows members to take part in bona fide public relations campaigns. In the past, this campaign team has worked with the Covenant House in Newark, Street Smart and Trinitas Hospital. This semester, the students are trying to organize a collaboration with Josephine’s Place, a shelter and center of empowerment for women in Elizabeth. The PRSSA attempts to take some kind of trip at least once every academic year, and as part of this tradition, Sullivan and 15 students from both Kean’s Union and Ocean campuses recently took a trip to New York City Feb. 22. The assemblage visited 5W Public Relations, one of the top independent public relations firms in the country, and the Museum of Public Relations, the only of its kind in the world and home to rare artifacts related to the public relations field. “The students were really enamored, not just to be able to see, touch, feel and experience things they learned about in the textbook, but particularly to be able to celebrate Black History Month by getting a chance to really experience a part of public relations history that, unfortunately, way too few people know about,” Sullivan said. As for the rest of this semester, the PRSSA is currently planning its annual public relations panel discussion, with this year’s topic being entertainment, travel and destinations. The group may possibly be holding an event related to Josephine’s Place and might also collaborate with Starbucks to launch exclusive drink flavors in a fundraising effort later in the semester. Sullivan believes that membership in the PRSSA can be of great value, as the experiences it offers allow students to get a taste of life in the field and connect with helpful, like-minded professionals. Sullivan also stressed that the benefits of being involved with an organization such as the PRSSA can even stretch beyond the realm of public relations and into the framework of college life in general. “I would like to think that students who are more involved with their on-campus community are probably going to find their undergraduate or even their graduate experience more enriching. I think the PRSSA is an example of a way to do that,” Sullivan said. 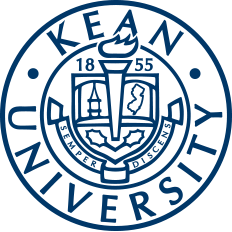 For more information on Kean’s chapter of the PRSSA, please visit the group’s page on Cougar Link. 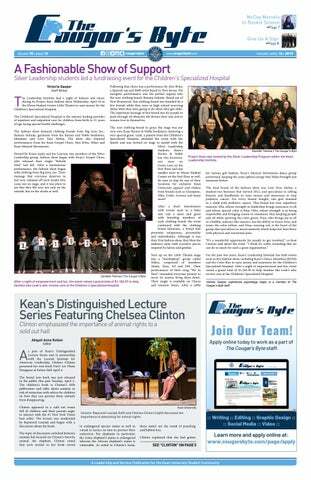 The group can also be contacted by phone at (973) 737-5336 or email at prssa@kean.edu.